In pursuance of the provisions of the Local Government Act, 1993 and the Regulations thereunder, notice is hereby given that a POLICY REVIEW COMMITTEE MEETING of Penrith City Council is to be held in the Passadena Room, Civic Centre, 601 High Street, Penrith on Monday 13 February 2012 at 7:00PM. Attention is directed to the statement accompanying this notice of the business proposed to be transacted at the meeting. Policy Review Committee Meeting - 5 December 2011. The opportunity may be taken to move this meeting to the 17 September 2012, should the election result be declared early. - Extraordinary Meetings are held as required. - Members of the public are invited to observe meetings of the Council (Ordinary and Policy Review Committee). Should you wish to address Council, please contact the Senior Governance Officer, Glenn Schuil. His Worship the Mayor, Councillor Greg Davies, Deputy Mayor, Councillor Jackie Greenow (arrived at 7:37pm) and Councillors Jim Aitken OAM, Kaylene Allison, Kevin Crameri OAM, Mark Davies, Ross Fowler OAM, Ben Goldfinch, Prue Guillaume, Marko Malkoc, Karen McKeown, Kath Presdee and John Thain. Leave of Absence was previously granted to Councillor Robert Ardill for the period 20 November 2011 to 21 December 2011 inclusive. PRC 70? RESOLVED on the MOTION of Councillor Mark Davies seconded Councillor Ben Goldfinch that an apology be received for Councillor Tanya Davies. PRC 71? RESOLVED on the MOTION of Councillor Marko Malkoc seconded Councillor Kath Presdee that the minutes of the Policy Review Committee Meeting of 14 November 2011 be confirmed. Councillor Ross Fowler OAM declared a Pecuniary Interest in Item 2 Placement of Council?s newspage, as he is one of the Directors of one of the companies subject to the report and therefore will leave the room during the consideration of the item and take no part in the consideration of the report. His Worship the Mayor, Councillor Greg Davies declared a Non-Pecuniary Conflict of Interest ? Significant in Item 2 Placement of Council?s newspage, as he has a Conflict of Interest in one of the companies that has been approached by the Advertising Working Party as part of the selection process subject to the report and therefore will leave the room during the consideration of the item and take no part in the consideration of the report. Councillor Jim Aitken OAM declared a Pecuniary Interest in Item 2 Placement of Council?s newspage, as he is one of the Directors of one of the companies subject to the report and therefore will leave the room during the consideration of the item and take no part in the consideration of the report. 1??????? Results of Consultation - Planning Proposal for Amendments to Penrith Local Environmental Plan 2010 and draft Heritage Local Environmental Plan??????????????????? 1.???? The information contained in the report on Results of Consultation - Planning Proposal for Amendments to Penrith Local Environmental Plan 2010 and draft Heritage Local Environmental Plan be received. 2.???? Council endorse the post-exhibition changes to the Planning Proposal as outlined in the report. 3.???? Council not hold a public hearing in relation to the Planning Proposal. b.?? make the plan in accordance with the Environmental Planning and Assessment Act 1979. Having previously declared a Non-Pecuniary Conflict of Interest ? Significant in Item 2, His Worship the Mayor, Councillor Greg Davies left the meeting, the time being 7:39pm. Having previously declared a Pecuniary Interest in Item 2,Councillors Ross Fowler OAM and Jim Aitken OAM? left the meeting, the time being 7:39pm. The Deputy Mayor, Councillor Jackie Greenow took the Chair. 2.???? Council commit to placement of Council?s weekly newspage with the Western Weekender for a two year period effective immediately. 3.???? Paragraph 1 of the conclusion of the report be revised to indicate all prices quoted are based on a weekly rate by adding the words ?per week? at the end of the prices quoted. His Worship the Mayor, Councillor Greg Davies returned to the meeting and resumed the Chair, the time being 7:41pm. Councillors Ross Fowler OAM and Jim Aitken OAM,? returned to the meeting, the time being 7:41pm. Recreation Manager, Andrew Robinson introduced the report and gave a brief overview of the report. 2.???? Council adopt the Sportsground Management Strategy. 3.???? Council write to the organisations that made submissions notifying those groups of the response and Council?s decision regarding adoption of the draft Sportsground Management Strategy. Community and Cultural Development Manager, Erich Weller introduced the report gave a brief overview of the report. 1.???? The information contained in the report on Subsidies to Local Bands, Orchestras and Musical and Performance Groups be received. 2.???? The amended policy document on Subsidies to Performance Groups provided at Appendix 1 to this report be adopted. Group Manager ? People and Places, Roger Nethercote introduced the report and gave a brief presentation. 7.???? The Penrith City Centre Association, the St Marys Town Centre Association, the Penrith Business Alliance and the Penrith Valley Chamber of Commerce be formally thanked for their support of the Centre?s Review process and their valuable contributions to it. There being no further business the Chairperson declared the meeting closed the time being 8:23pm. NSW Planning System Review - Discussion Paper Submission??? Authorised by:??????????? Roger Nethercote, Group Manager - People and Places ?? The review of the NSW Planning System has commenced and a discussion paper titled ?The way ahead for planning in NSW? has been released, with submissions due on the 17th February 2012. Council?s submission is the subject of this report, a draft of which is attached for your consideration. Our draft submission focuses on the need for the system as a whole to be reviewed, not just the Planning Act. The submission advocates for a clearer hierarchy in State and Local Plan making, a more flexible system for local planning and improved planning and delivery of infrastructure. The review of the planning system should result in simplification of the development assessment process; with a focus on outcomes, improved quality of applications and clearer decision making guidelines as the key issues. Other issues in the submission relate to Land and Environment Court processes and include; limiting amendments during proceedings, maintaining status of current appeal rights without expanding them, and increasing Court accountability for decisions. With regard to the implementation of a new planning system, the submission focuses on the need for the roles of the State and Local Government to be clearly defined with the Department of Planning and Infrastructure (DoPI) taking a greater role in formulating strategic planning direction and setting objectives and targets; rather than focusing on local planning issues and process. The draft submission to the issues paper recommended in this report is in Attachment No. 1. ?????? Issuing a 'White Paper' that will lay out the NSW Government's new framework for the reformed planning system and the release of subsequent draft legislation in September 2012. 6.??? Any other matters that the Planning System Review considers should be included in their recommendations that are not otherwise dealt with above. To date, the review process has not delivered any information regarding its undertaking to examine other planning systems. It is strongly recommended that prior to the release of the Green Paper an Options Paper be produced that overviews this body of work for the input of stakeholders.? Council is supportive of any review or refinement of the planning system that will introduce more certainty or flexibility. However it seems premature, given that responses to the Issues Paper are now being sought and the scope of the review has not been suitably covered to enable a clear understanding of the options available for best practice. It is also unclear as to whether further feedback and submissions will be sought on the Green Paper, giving stakeholders further opportunity to comment on the proposed framework of the system and the legislation.? The Issues Paper titled ?The way ahead for planning in NSW? is the result of an extensive consultation process chaired by former NSW Environment Minister Tim Moore and former NSW Public Works Minister Ron Dyer involving 91 community forums across NSW, 70 stakeholder meetings and meetings with Members of Parliament. A total of 330 written submissions have been received from the public and other interested parties. The issues paper is the precursor to ?green? and then ?white? papers to be produced by the NSW Government. Submissions will also be able to be made to a least the ?white? paper stage in the process. The original suggestion was for tier legislation to be introduced in the spring session of Parliament. This is a monumental task and raises concerns regarding the abbreviated timeframe for consultation for the ?white? Paper and its timing. A recommended response to the Issues Paper?s ?The way ahead for planning in NSW? is in Attachment No. 1 to this report. The issues for discussion are outlined below, grouped under key headings. These issues are discussed in greater detail in the attached submission. The position being adopted by Council staff, as well as the Western Sydney Regional Organisation of Councils (WSROC), is that the review needs to ensure it focuses, not only on a review of the current planning legislation, but first and foremost on reviewing the structure of the planning system throughout the State. Issues such as the myriad of legislative documents and their hierarchy, as well as the variety of State agencies and the alignment of responsibility to different levels of government, all require investigation to simplify and clarify the process, remove duplication and competing influences and provide certainty to all stakeholders of development in NSW. The submission advocates for the responsibilities of the DoPI to be scrutinised including focusing more on strategic roles and outcomes, rather than process. It also calls for revision of State planning instruments to remove duplications and prevent zoning of land by the State, as well as improved planning for and delivery of infrastructure before approvals for development can be issued. The current system and hierarchy of legislation and planning instruments is complicated and confusing. There is no reference to the crucial need to capture State and Regional Planning into Local Planning documents. State legislation currently attempts to achieve this by setting up prescriptive State Planning Policies which result in duplication of provisions and interference in strategic planning and zoning of land at the local level. The plan making process is overly complicated by the level of regulation that requires State Government involvement and agreement. The planning system is not flexible enough to respond to local conditions or accommodate minor amendments without going through a lengthy process. The new Act should provide a comprehensive and straightforward plan making process which ensures genuine engagement of Local Government and the community in each stage of the plan making and review processes. The role and status of Development Control Plans to facilitate and guide the assessment of development proposals needs to be reviewed. The key themes relating to development assessment, in our view, are for the process to be simplified, to promote and regulate better quality applications, streamline the consultation processes with State agencies and implement refined decision making processes with merit assessment retained at a local Council level and the more strategic considerations embedded in the plan making process. The development assessment process would also be benefited by a greater separation from building and certification issues. The role of Construction Certificates, Certifiers and compliance in the development process needs to be reviewed to minimise the impact of construction certification on DA assessment by reducing the need for these details upfront. The current role of the Land and Environment Court in the planning system is supported. Some recommendations are made to refine some of the Court processes to improve certain aspects of proceedings. These include limiting an applicant?s ability to amend a proposal once proceedings have commenced and to provide certainty and limit the burden of costs on the consent authority and community. Current rights of appeal should be retained with further limitations placed on appeals by parties without a ?direct interest?, third party appeals on merit decisions and appeals regarding some rezonings. The submission also calls for simplification of enforcement procedures and for the Court to become more accountable for its decisions. The effectiveness of the new planning system will be largely dependant on the way in which it is implemented. The review of the planning system is considering appropriate roles for the DoPI, and Local Councils. It is also investigating coordination between government agencies, local government and the development industry. The role of the DoPI should be to focus on outlining policy objectives and strategic direction for Councils to implement locally. The DoPI should not be zoning land through State policies and needs to focus on a framework for delivery of quality outcomes rather than procedure and process, particularly co-ordinating the delivery of infrastructure critical to support urban growth. The DoPI needs to play a major part in coordination and delivery of e-planning and eDA systems. The role of Councils needs to include responsibility for developing local plans for its own area having regard for State and Regional policy. The subordinate relationship between State and Local Government needs to be revisited with Councils having greater clarity over their responsibility to implement State strategies. Councils need to have responsibility for their own areas relating to planning and plan making along with development assessment. Council?s role in the pursuit of compliance matters and as a dispute facilitator between the different stakeholders to the development process also needs to be strengthened. The outcomes of the review should not reduce or weaken Council?s roles in the planning system in any way. As part of the review process it is anticipated that a 'Green Paper' will be produced in April 2012 which will outline options for a future planning system in NSW and set the basis for a legislative scheme influenced by the 'listening and scoping' phase.? This will be followed by a 'White Paper' that will lay out the NSW Government's new framework for the reformed planning system and the release of subsequent draft legislation in September 2012. These steps will provide Council further opportunity for input into the process. We will continue to engage with WSROC in an assessment of the proposed initiatives and will report our assessment of those back to Council. 2.???? The attached submission be forwarded to the Department of Planning and Infrastructure for consideration in the review process. Information Communication and Technology (ICT) Productivity Project??? Authorised by:??????????? Vicki O?Kelly, Group Manager - Finance ?? Council?s commitment to continuous improvement has been demonstrated over the last decade with five major service review initiatives conducted during that time. As a result significant productivity gains and efficiencies have been identified and realised. For example, Council?s most recent Special Rate Variation Application (in 2011) to the Independent Pricing and Regulatory Tribunal (IPART) identified $4.2 million in efficiencies (see Appendix 1). Although a variety of methodologies have been applied to service reviews, a more recent area of focus was the examination of how effectively was Information, Communications and Technology (ICT) being deployed by Council services. With the aim to improve the effectiveness of Information, Communications, and Technology (ICT) across Council services and identify opportunities for productivity improvements in those areas, Council officers began discussions with Telstra in June 2010 with the view to carrying out an ICT Productivity Diagnostic (or assessment) on the organisation over the subsequent three month period. The final ICT Productivity Diagnostic Executive report was presented to the Corporate Management Team (CMT) on 30 September 2010 as a result of extensive work carried out by Telstra consultants and Council?s project team (of 5 members). The work carried out included an organisation-wide survey with 321 staff responses, 3 sessions with the CMT and interviews/workshops with front-line staff in 8 key services areas. ???????? Productivity in this context of this project has been defined as getting more value from time. ???????? The Telstra ICT Report identified 6 short term and 7 long term opportunities for improvements. Of this list, 5 short term and 3 long term actions were assessed by the consultants as higher priority. Specific opportunities identified affect up to 100 FTE, for a conservative 25 minutes of additional productivity per working day per team member. ???????? The Report Priority service areas specifically affected by these recommendations include the Rangers, Health (Food) Inspectors, Building Inspectors, Childcare Centre Directors and any other employee working in the field or at a remote location. ???????? A 2 Year ICT Implementation Plan was adopted by CMT in December 2010. ???????? Progress against the 2 year ICT Implementation Plan is currently ahead of schedule. As at 31 January 2012 the plan was 60% complete versus 50% planned activity. Implementation commenced in late January 2011 and is scheduled for completion by 31 January 2013. The presentation to Council tonight includes a more specific list of progress to date, opportunities for further productivity improvements and next steps. Through one of the then Board members of the Penrith Business Alliance introductions were facilitated to the Telstra team who were looking for a local government partner for a complimentary trial diagnostic exercise. By definition, the Telstra ICT Productivity Diagnostic tool measures productivity by examining the interactions and communications usage of worker segments. Through a clearer understanding of the current and future needs of different worker types, aligned to strategic direction, this tool can identify ways to improve productivity and optimise resource allocation using Australian-based research and specifically developed diagnostic tools. The examination of worker usage is carried out by staff interviews/workshops and an organisational survey of needs. ???????? Review and diagnose the appropriateness of ICT products and services used by employees. ???????? Incorporate employee feedback to produce a current ?baseline? ???????? Quantify current ICT productivity levels in your workforce. ???????? Quantify potential ICT productivity improvements. ???????? Highlight individuals and work groups with the greatest opportunity for productivity improvements. ???????? Prioritise productivity opportunities, reflecting critical business issues. ???????? Integrate potential productivity improvement within an ICT implementation plan over 12-24 months. Over the next three months, Telstra consultants and Council?s project team were able to gather important data through an organisation-wide survey, three sessions with CMT and targeted workshops and interviews with front-line staff in eight key service areas. 321 Council staff responded to the survey representing a 29% response rate. The Report identified 6 short term and 7 long term opportunities for improvements. Of this list, 5 short term and 3 long term actions were assessed by the consultants as higher priority. A list of both the Short term Opportunities for Improvement and the Long Term Opportunities for Improvement are provided in Appendix 2. Each of these opportunities was translated into a two year implementation plan adopted by CMT in December 2010. A copy of the 85 page Telstra report is available on request from Michael Rudd, Council?s Services Development Officer. Telstra is preparing to publish a case study based on the ICT productivity opportunities that have been identified and in some cases already realised through Council?s ICT implementation plan, providing insights for others interested in understanding how ICT initiatives can provide more ?value for time? particularly in the local government arena. The interactive presentation to Council will cover progress to date in each of the following service areas in greater detail including the mobility solutions and tools which are currently being deployed by staff in the field. ???????? Equivalent dollar value of time saved or increase in revenue for year 1 and year 2+ after deployment. The focus of the ICT Implementation Plan over the next 12 months will be the completion of the remaining 40% of the recommendations sourced from the Telstra report. While this work is continuing, a structured organisational framework and ongoing capacity will be developed by senior management focusing on identifying and realising future productivity gains and a work culture which supports this. It is proposed that the next progress report to Council next year provides both a wrap-up of the current two year ICT Implementation Plan and a blue print for future investigations and productivity gains. 1.???? The information contained in the report on Information Communication and Technology (ICT) Productivity Project be received. A product of Council ongoing program of continuous improvement and service reviews has been the tangible efficiency/productivity savings that have been realised since 2007 to the present day. Details on some of the more significant efficiencies in table below. Council transitioned to a new model for Domestic Waste Management (DWM) in August 2009. This involved an innovative approach to the collection, processing and disposal of organics, recyclables and residual waste. The new system was in response to the State Government?s target for diversion of waste from land and is the first system of its kind in metropolitan Sydney. Since introducing this system Council?s diversion of waste has increased by more than 40% to 65%. The 2010-11 DWM fee was $249 compared to the projected fee of $322 had the new system not been implemented. Savings of approximately $1.5 million, or $73 per household have been achieved and passed onto residents in 2010-11. Given the growth in the State Government?s waste levies this annual savings is expected to continue to grow in future years. A number of reviews of Council?s Light Vehicle Fleet Management Policies have been conducted over the last five years. These reviews have ensured that Council?s focused on the management of the fleet, vehicle selection and the change over parameters for the vehicle. Where appropriate variations to the policy have been implemented to ensure Council?s policies remain contemporary. Savings of $700,000 were achieved in 2009-10 and ongoing savings of $486,000. Further changes in February 2011 resulted in additional annual savings of nearly $100,000. An investigation into an alternate model for Workers? Compensation was conducted by Council as part of a program of improving OH&S performance. In June 2010 Council moved to Workcover?s Burning Cost Scheme with resulting in estimated annual savings of $700,000. This scheme provides a greater reward for Councils investment in OH&S systems and injury management. ???????? Stationery products: Joint tender resulted in a cost savings of 9% to all WSROC Councils. ???????? Road Signs: The existing group contract for Road Signs provides WSROC Councils with a 12% cost savings. ???????? Hardware: The existing group contract for hardware products provides WSROC Councils with a 2% cost savings compared to the State Government Contract. ???????? Pool Chlorine: The existing group contract provides a cost saving of 5% over noncontracted rates. ???????? Mobile Garbage Bins: The existing group contract provides a cost saving of 3% over previous contracted prices. ???????? A combined group tender for Fixed Voice, Internet Services, Mobile Services and Wide area Network Services. Cost savings over existing rates is estimated at 35%. ???????? The WSROC tender for asphalt saw the combined volume of expenditure estimated at $52 million. As a result of the joint Asphalt Project, the overall savings of between 3 -5 % was achieved in Council?s overall roadworks program. As Council collectively spends annually in excess of $5 million on asphalt products and associated services, a minimum saving of $200,000 per annum was realised starting from 2008-09. Additional annual savings (up to $45,000 in 2009-2010) continue to be realised from volume rebates calculated across all participating councils. ???????? Initiated a group tender, later facilitated by Local Government Procurement, for electricity supply to Council?s major sites and street lighting. Savings of between 7-12% achieved. In 2007, Childrens? Services developed a new system to manage the relief staffing required for the services sponsored by Council. This was trialled in 2008 and rolled out permanently in 2009. The system has enabled the service to substantially reduce the cost of casual relief and provide continuity of care and consistency for children and their families. In 2006-07, the Children?s Services spent approximately $1.3 million on relief staff, representing an over-expenditure of 148%. Implementation of this approach has resulted in ongoing annual salary savings of $470,000. S1 to S3 represents mobility device and applications for 3 types of users; the Rangers, Environmental Health Inspectors and the Building Inspectors?? (where users are allowed to innovate, but where IT control access, central applications and storage). S5 represents the use of ?Whispir?or ?Timetrack? ? Different types of form based email/SMS system for rostering purposes instead of the ?call list? currently being used. Use form based email/SMS system for rostering purposes instead of the ?call list? L1 represents separate devices used to access Council applications/ business logic and data stores (multi-tier architecture) e.g. web enabling services to external and internal customer. ??? Error rates reduced from 5 per month to nil. ??? Enhanced reporting (eg infringement statistics, areas patrolled & officer activity). ??? 6 PDA units with built-in ticket printers purchased & went ?live? in April 2011. ??? Wireless field access to Council systems (property, IMS, mapping) & DLG Companion Animals Register. ???? Starting in August 2011, one tablet was deployed providing field access to the DLG Companion Animals Register, enabling officers to quickly identify chipped cats & dogs. Stray cats & dogs have been reunited with their owners saving trip times to the pound and distress for owners. ???? Access to Council systems has improved in field provision of information. ??? Pilot testing of mobility devices was completed in October 2011. ??? In Nov 2011, 2 tablets deployed providing officers with property and other information in the field. ???? A trial of the TIMs (Telstra Integrated Messaging System) & StaffMatch application software was completed in July 2011. ???? The successful trial resulted in 2 licenses being purchased to incorporate 200 staff profiles onto the system. ???? Phased migration of each location to the new network was completed in February 2011. Fire Safety in Nursing Homes??? Authorised by:??????????? Paul Lemm, Development Services Manager ? The fire at the Quakers Hill Nursing Home on 18th November 2011 highlighted the importance of fire safety in Aged Care Facilities. Aged Care Facilities offer a unique set of challenges with regards to fire safety and in particular, the evacuation of residents in the case of an emergency. Council has a fire safety programme and all of the nursing homes are included on the list. The nursing homes provide annual certification of their installed essential fire safety measures and these include: fire and smoke alarms, hose reels, portable fire extinguishers, emergency lights, illuminated exit signs, compartmentation, fire doors and smoke doors. As a result of the Quakers Hill fire, Council officers have conducted a Fire Safety Inspection in all of the Aged Care facilities currently operating within the Penrith Local Government Area. Whilst some minor issues were identified, the buildings generally comply with required fire safety standards. There are 11 aged care facilities within the Penrith Local Government Area. The age of the buildings range from brand new to 110 years old. This discrepancy in age creates some difficulties in achieving compliance with the Building Code of Australia (BCA) however, a suitable level of fire safety is still achievable. Two of the facilities are equipped with sprinklers, the others rely on fire and smoke compartmentation and a range of other fire safety measures such as smoke detection systems and the provision of Fire Hydrants, Fire Hose Reels and Fire Extinguishers. The level of care provided in these facilities ranges from low care to high care, including dementia units. The number of patients varies from 40 to in excess of 100. Most of the facilities are of a simple design which allows for the buildings to be easily fire separated into fire and smoke compartments which reduces the chance of a fire spreading. (a)? the division of the building into fire and smoke compartments to restrict the spread of fire. (b)? the installation of fire and smoke alarms to provide early warning to the presence of fire. (c)? The permanent staffing of these buildings to assist with evacuations where necessary.? Class 9a buildings are required to have sprinklers once the building is over 25 metres in effective height.? Sprinklers can also be used as a compliance option where the building is more than 2 storeys high and a zone smoke control system is not proposed to be installed.? A zone smoke control system is designed to extract toxic smoke from the building and therefore improve the safety for people within the building.? Whilst sprinklers are effective in the control of fire, they do not guarantee safety for occupants.? For this reason, there is a greater reliance on smoke detection and alarm systems and compartmentation as opposed to sprinklers.? Nursing homes have been the subject of accreditation for many years now under the Federal Department of Health and Ageing.? In older buildings where the construction did not achieve the required fire resistance and compartmentation, one of the options was to install sprinklers.? Many people have misconstrued this to mean that all nursing homes require sprinkler protection. In the event of a fire in an Aged Care Facility, the automatic smoke detection and alarm system will activate on the detection of smoke.? Upon activation of the system, notification will be sent to the Fire Brigade via private service providers, all fire and smoke doors within the building will close and staff will commence relocating residents within the affected fire compartment to a safe area (i.e. the adjacent fire and smoke compartment or outside the building).? The probability of a fire starting in 2 different compartments at the same time is remote and not something considered by the BCA.? The BCA does not consider arson attack which in effect short circuits the fire safety systems in a building.? This can have catastrophic effects as seen in the recent Quakers Hill Nursing Home fire and Liverpool City Council fire on 16/08/2010. Council Officers have conducted Fire Safety Inspections on all 11 Aged Care Facilities in the local government area during December 2011 and January 2012. The results from the inspections were very positive. As Aged Care Facilities are accredited with the Federal Department of Health and Ageing, they are subject to rigorous requirements of the Federal Government as well as having to provide Annual Fire Safety Statements to Council as part of our Fire Safety Programme. An issue which surfaced during the Fire Safety Inspections was the situation where beds need to be evacuated during a potential emergency. This was highlighted in the Quakers Hill fire and will most likely be an issue raised in the Coronial Inquiry to follow. Many of the facilities do not have sufficient space to manoeuvre the beds out of the Fire Exits. This situation may be difficult to overcome in existing buildings because they are land locked. Some facilities have a policy of evacuating patients on a blanket rather than remove the beds. This process removes the situation whereby beds are ?backed up? inside the facility in the case of an emergency. Each of the Aged Care Facilities has been asked to provide Council with a detailed Emergency Services plan. This plan locates all of the essential fire safety measures within the building and a hydraulic engineer's report which confirms the adequacy of the hydrant system to service the building. The inspections revealed some issues of a minor nature and these will be pursued in due course by Council officers. The results from the Fire Safety Inspections conducted at all Aged Care Facilities were generally positive. The facilities are generally compliant with the provisions of the BCA and require minimal work to achieve compliance. All facilities are equipped with automatic smoke detection and alarm systems which activate on the detection of smoke within the building.? The activation of the system? sends notification to the Fire Brigade via private service providers, all fire and smoke doors within the building will close and staff will commence relocating residents within the affected smoke compartment to a safe area (i.e. the adjacent smoke or fire compartment or outside the building).? Each of the buildings must comply with stringent guidelines required by the Federal Department of Health and Ageing and as such, the level of compliance with the BCA is generally satisfactory. Staff at these facilities are trained regularly in evacuation procedures to ensure that in the event of an emergency, residents of the facilities will be evacuated as quickly and efficiently as possible. It is important to note that these buildings are not designed for arson attack as was evident with the Quakers Hill fire. Each of the properties has been issued a report outlining the findings of the Fire Safety Inspection. These issues will be followed up in due course with a Notice of Intention and an Order if required. Council staff will work with the owners and management of these facilities to ensure appropriate levels of fire safety are maintained. These buildings are identified as high risk and they will therefore have regular fire safety inspections as part of the accreditation system and Council?s Fire Safety Programme. That the information contained in the report on Fire Safety in Nursing Homes be received. Legislative Assembly Committee on Transport & Infrastructure Inquiry into the Utilisation of Rail Corridors - Invitation for Submission??? Authorised by:??????????? Adam Wilkinson, Engineering Services Manager?? The purpose of this report is to consider an invitation from the Legislative Assembly Committee on Transport and Infrastructure to make a submission to the Inquiry into the Utilisation of Rail Corridors.? The report recommends that Council endorse a detailed submission based on the contents of this report. The Legislative Assembly Committee on Transport and Infrastructure is currently conducting an Inquiry into the Utilisation of Rail Corridors.? The Committee has invited Penrith City Council to make a submission to the Inquiry.? The Inquiry will investigate and report on the utilisation of air space above, and the land adjacent to, the rail corridor in the Greater Metropolitan Area of Sydney, including the Hunter and Illawarra. ????????? -? connectivity of communities either side of railway lines. ????????? -? examples of best practice from other jurisdictions. The closing date for submissions is 29 February 2012. It is important to ensure that the primary function of the rail corridor should not be compromised and it is critical that transport nodes (eg, existing and future railway stations) are retained as priority to facilitate a comprehensive integrated transport strategy.? Therefore, any decision relating to rail corridors and critical nodes cannot be taken in isolation.? It must complement and integrate with State agency strategies to manage transport needs now and into the future. Council, in conjunction with the State Government, has progressed the Penrith Integrated Transport and Land Use Study (PITLUS).? This Study has identified future infrastructure required to meet the demands of the anticipated growth across the City and across the Region.? This Study critically identified the need for future railway stations at University of Western Sydney, between Werrington Railway Station and Kingswood Railway Station, and also at Oxley Park.? Furthermore, this Study identifies the need for duplication of the western line corridor from St Marys to Penrith.? To this end, we are continually lobbying the State Government for these improvements, and it is critical that these infrastructure needs are identified and secured through the present Inquiry. Prior to the consideration of any development within the corridor land or disposal thereof, it is essential to consider the needs for the supplementary transport services, such as transport interchanges and parking facilities, as a priority.? In addition, the implementation of ancillary transport facilities, such as commuter car parks and interchanges, should not be compromised by any future land development or land disposal. The contemplation of any development within these corridors needs to complement adopted regional and local planning strategies.? A balanced and integrated approach is required for all commercial, retail and residential developments.? An inter-agency planning approach should be considered to achieve high quality urban outcomes to avoid compromising primary functions (eg, rail transport). The provision of public transport services and infrastructure is integral to the fabric of the City and a critical element of the urban form.? Accordingly, public space and access needs are critical and must be integrated into any development proposal.? The associated rail corridors play a vital role, and establish an important public interface with the public transport system.? High quality urban form along these interfaces is vital and should be carefully examined through the present Inquiry. Council has embarked on a comprehensive review of our City Centre, in particular the Rail Corridor.? Making stations truly dynamic places and providing innovatively designed pedestrian movement over rail lines is challenging, however there is a clear need to connect communities either side of this barrier and to investigate opportunities to improve the character, performance and liveability of our city. Campement Urbain was recently commissioned to develop a master plan for part of the Penrith CBD, and highlight the potential influence this region could have on models of urban renewal, sustainable lifestyles and community development.? One important component of this work addressed the significant barrier of the railway line which fragments the social, economic and physical connection between North Penrith and the Penrith City Centre. The connection and integration of these urban spaces should be of high quality.? Campement Urbain provides an inspired idea of utilising the rail corridor to provide better amenity for Jane Street which could attract activity, build community and enhance public transport patronage. The decision for any disposal of assets or land should be taken in the context of the overall needs of the transport system and should be assessed through a net community benefit test.? All profits need to be channelled back into integrated public transport facilities or broader government agency transport needs.? The approach should focus on greatest community benefit, not simply a profit-driven exercise.? A genuine study that clearly identifies the rail needs, both presently and into the future, is critically required before considering alternative use within the rail corridor or the disposal of land. Finally, the decision of the Committee should be deferred pending the development and adoption of the NSW Government?s Long Term Transport Master Plan and the development and adoption of the proposed Penrith Regional City Transport Strategy.? Therefore, consideration must not be given to use/disposal until there is a comprehensive integrated transport strategy (critically incorporating light/heavy rail needs and ancillary transport services) to meet the existing and future needs.? Local Government needs to play an integral role in any consideration for the use and/or development of Rail Corridor land. 1.???? The information contained in the report on Legislative Assembly Committee on Transport & Infrastructure Inquiry into the Utilisation of Rail Corridors - Invitation for Submission be received. 2.???? A detailed submission, based on the content of this report, be made to the Legislative Assembly Committee on Transport & Infrastructure Inquiry into the Utilisation of Rail Corridors. Release of Swimming Pools Act 1992 Review and Discussion Paper??? Authorised by:??????????? Paul Lemm, Development Services Manager?? This report has been prepared in response to the release of a Swimming Pools Act review and discussion paper by the Division of Local Government. The purpose of the Discussion Paper is to seek from pool owners, local councils, key water safety organisations, State agencies and the wider community an indication of the level of support for a range of proposed amendments to the Swimming Pools Act 1992 (and other relevant legislation) to increase the safety of very young children around backyard swimming pools. d)?? Encouraging owners of exempt swimming pools to voluntarily install four-sided barriers in accordance with the current Australian Standard. Council supports any changes that will strengthen swimming pool safety legislation to increase the safety of young children around backyard swimming pools. However, any changes need to ensure that Penrith City Council can provide the level of service required to perform the additional duties. Submissions are to be provided to the Division of Local Government (DLG) by Friday 24 February 2012. A request for a time extension for community consultation and feedback to occur has been declined as DLG is to report the feedback on the discussion paper to the NSW Government in mid-March 2012. The Swimming Pools Act was introduced to require four-sided child resistant barriers to a prescribed standard to surround private pools in NSW. Penrith Council provided comprehensive input into the review of the Act in 2008 to identify appropriate amendments to enhance the safety of children under the age of five years old around private (?backyard?) swimming pools in NSW. This work informed the development of the Swimming Pools Amendment Act 2009, which commenced on 14 December 2009. The Amendment Act provided the legislative framework for a high standard of four-sided, child-resistant pool barriers to be consistently applied to all newly constructed private pools in NSW. It also provides appropriate additional mechanisms to encourage compliance with the legislation. These changes went some way to improving swimming pool safety generally, although a regime for mandatory pool fencing inspections was not included. Whilst educating pool owners still plays a vital role in pool safety, there remains the risk that not all pool owners are aware of their responsibilities and safety issues when they emerge. A mandatory pool fencing regime would ensure this circumstance is overcome. The drowning of young children in backyard swimming pools continues to occur across NSW. Drownings have occurred in Penrith LGA in recent years. Penrith Council has continued to provide input into further amendments to the Swimming Pools Regulation and Australian Standards relating to pool fencing.? Penrith Council has recently been involved with the NSW Deputy State Coroner in which recommendations for a range of pool safety options and a further strengthening of the Act have been proposed. Other states such as QLD and WA have introduced similar requirements in recent years and allowed private certifiers and accredited swimming pool inspectors to perform most duties. For example, in Queensland and WA, accredited swimming pool inspectors and private certifiers can perform the regular inspections in any swimming pool barrier inspection program. Queensland has approximately 300,000 swimming pools and over 1400 accredited swimming pool inspectors to assist in inspection programs. The proposed changes in NSW however, do not permit private certifiers or accredited swimming pool inspectors to be involved in the mandatory swimming pool barrier inspection program. This will have a significant impact on staffing and resources of Penrith Council due to the high number of swimming pools within the LGA. Penrith Council LGA has one of the largest number of swimming pools in NSW with an estimated 20,000 swimming pools. As such, any changes to legislation requiring further involvement from Council will have a significant impact on the level of service Council can provide compared to many other Councils with a lesser number of swimming pools. ?In addition to the current services Council provides regarding swimming pool safety and compliance, the following would also be required if the proposed amendments occur. 1.?????? Require the NSW Government to develop and maintain an on-line, State-wide register of swimming pools, through the Division of Local Government, Department of Premier and Cabinet. Impact on Council: The NSW Government will develop and maintain the register to create a consistent database and reduce the impacts on individual Councils. It is expected Council will not be required to be involved in this process. All information in the NSW Government register should be available to the appropriate Council in order for improved education and awareness campaigns to occur. Recommendation: It is recommended that all information on the register relating to Penrith Council LGA be available in order for improved education and awareness campaigns to occur. 2.?????? Require that each swimming pool owner register their swimming pool via the on-line, State-based register at no cost using a standard form approved under the Swimming Pools Regulation 2008. This would be a once-only registration process. Pool owners would be provided with the alternative of requesting that their local council complete the on-line registration process on their behalf using a standard form completed by the pool owner, at a cost of no more than $10. Furthermore, it is proposed to establish a new offence for failing to register a swimming pool attracting a penalty notice amount of $220, with a maximum penalty of $2,200, with a transitional period of twelve months so that there is sufficient time for pool owners to be notified of the requirement to register the pool. Impact on Council: With over 20,000 swimming pools required to be registered, it is likely that Penrith Council will receive many requests for these registrations. Assuming 80% of owners will register their own swimming pools, Council will be required to register the remainder of the 4000 swimming pools. Assuming 30 minutes for registration, this would require 2000 hours to complete. A significant amount of compliance work would also be required as it would also be the responsibility of Council to conduct the compliance action required for owners who fail to register their swimming pool. Recommendation: It is recommended the $10 fee be increased to $50 to reflect the time and resources required to provide such services. It is also recommended that Council?s be provided with the appropriate resources to conduct compliance action required for owners who fail to register their swimming pool. 3.?????? Require that, as part of the registration process, pool owners undertake a ?self-certification? process of their pool by completing a safety checklist and a statement that, to the best of their knowledge, the barrier complies with the standard required by the Act at the time the pool was built. At the request of pool owners, Councils would be required to undertake the certification of swimming pools at a maximum fee of $70.00 (as stipulated in the Swimming Pools Act 1992) and Private Certifiers could undertake the certification at market cost. Impact on Council: Issuing a swimming pool compliance certificate requires a minimum one site inspection (sometimes two or three), a report to be completed and certificates issued. A $70.00 fee does not adequately reflect the costs associated with issuing such certificates. A private certifier can charge market costs for this service. Recommendation: It is recommended the fee be increased to a similar fee for a building certificate ($250.00) as a building certificate application requires a similar amount of time and reports/administration. The $250.00 fee is intended for swimming pool owners who are unable to or do not want to self-certify, and will provide full cost recovery for the associated inspections and administration. Both Council?s and private certifiers should have the ability to charge market costs. It is also recommended that the ?self-certification? option be removed and only allow Councils, private certifiers or other accredited swimming pool inspectors to undertake these inspections. 4.?????? Require that councils, in consultation with their communities, develop and publish on their websites a swimming pool barrier inspection policy and program that is acceptable and affordable to their community. Maximum inspection fees of $150 for the initial inspection and a maximum of $100 for one additional re-inspection are stipulated. No additional inspection fees could be charged for any subsequent re-inspections. Impact on Council: The discussion paper has indicated for Councils the size of Penrith, ?at best it would only be possible to inspect pools once every four years?. With over 20,000 swimming pools this would require 5000 pools to be inspected per year. Most swimming pool barrier inspections fail the first inspection so it is assumed that at least 2 inspections would be required per pool (10,000 inspections per year. Without additional resourcing this task will be unmanageable. The impact of this change is considered excessive and Penrith Council does not have the resources or infrastructure to support such a change. Private Certifiers and accredited swimming pool inspectors should be included to conduct such inspections to reduce the impacts on Councils. Councils are still likely to have to follow up all non-compliances by issuing Swimming Pool Notices and Directions. This will have a significant impact on staffing and resources. It is considered that a smaller number of pools be required to be inspected each year. Councils should have the ability to charge for each additional re-inspection ($100.00) regardless of the number of times an inspection has occurred. Recommendation: It is recommended that Private Certifiers and accredited swimming pool inspectors be included to conduct such inspections to reduce the impacts on Councils. It is also recommended that a smaller number of pools be required to be inspected each year. Furthermore, it is also recommended Councils should have the ability to charge for each additional re-inspection ($100.00) regardless of the number of times an inspection has occurred. 5.?????? Require mandatory inspection by councils of pools associated with tourist and visitor accommodation and other multi-occupancy developments at a period of no greater than 3 years for the same inspection fees outlined in 8 below. Impact on Council: There is relatively small number of tourist and visitor accommodation and other multi-occupancy developments with swimming pools (less than 100). This change is supported and it is not considered to have a significant impact on staffing.? Private Certifiers and accredited swimming pool inspectors should be included to conduct such inspections to reduce the impacts on Councils. Councils are still likely to have to follow up all non-compliances by issuing Swimming Pool Notices and Directions. Councils should have the ability to charge for each additional re-inspection ($100.00) regardless of the number of times an inspection has occurred. Recommendation: It is recommended that Private Certifiers and accredited swimming pool inspectors be included to conduct such inspections to reduce the impacts on Councils. Councils should have the ability to charge for each additional re-inspection ($100.00) regardless of the number of times an inspection has occurred. 6.?????? Require that any property with a swimming pool must be inspected, and have a valid compliance certificate issued under the Swimming Pools Regulation 2008, before the property is leased or sold. The compliance certificate would be valid for a period of 2 years, even if the property is sold or leased again in the interim. Impact on Council: This amendment is considered an appropriate method to ensure swimming pool barriers are maintained. However, issuing a swimming pool compliance certificate requires a minimum one site inspection (sometimes two or three), a report to be completed and certificates issued. A $70.00 fee (as stipulated in the Swimming Pools Act 1992) does not adequately reflect the costs associated with issuing such certificates. Recommendation: It is recommended the fee be increased to a similar fee for a building certificate ($250.00) as a building certificate application requires a similar amount of time and reports/administration. 7.?????? Require councils to report annually on the number of swimming pool inspections undertaken and the level of compliance with the requirements of the Act. Impact on Council: Council supports this amendment subject to receiving clear and concise details of what is to be included in the report. Recommendation: It is recommended the level of reporting required be simple, clear and based on statistics only. 8.?????? With the exception of Point No. 4 above, which provides for a 12 month transition period before commencement of the new offence for failing to register a swimming pool, a commencement period of 6 months is proposed for the other new provisions. During this period strategies will be implemented to ensure all swimming pool owners are provided with information on their responsibilities to ensure that they comply with the requirements of the Swimming Pools Act. Impact on Council: It is considered that due to such significant changes proposed and the associated substantial impacts on Penrith Council in regards to staffing, funding and system processes, it is recommended the commencement period be increased to 12-18 months. Recommendation: It is recommended the commencement period be increased to 12-18 months. 9.?????? The proposed amendments state that as part of the registration process, pool owners undertake a ?self-certification? process of their pool by completing a safety checklist and a statement that, to the best of their knowledge, the barrier complies with the standard required by the Act at the time the pool was built. Concerns are raised that due to the complexity of swimming pool legislation, most owners are not adequately trained or informed to self-certify and it is likely many swimming pools that an owner considers to be ?satisfactory? will actually be non-compliant. The swimming pool would then continue to pose a risk to the safety of young children and may have legal consequences for the owner who did the self certification. Whilst pool owners would be provided with the option of requesting that their local council or a private certifier undertake the certification process on their behalf for a prescribed fee, it is likely most pool owners will self-certify to avoid the costs associated with a Council or private certifier to undertake the work. Impact on Council: It is considered that Council?s will receive many requests for assistance in helping owners to complete a self-certification their pools. This may negatively impact on Council?s staffing and funding arrangements. Recommendation: It is recommended that the ?self-certification? option be removed and only allow Councils, private certifiers or other accredited swimming pool inspectors to undertake these inspections. ???? a) ????? Following up owners who have not registered their swimming pool on the NSW Register. ????????? b) ???? Serving Notices and Directions on non-compliant swimming pool barriers. ???? c) ????? Investigating complaints regarding private certifiers who have issued unsatisfactory certificates. ????????? There is likely to be a significant impact on Council?s in this regard. Cost recovery in these matters is unlikely to be available. ????????? Impact on Council: There is likely to be a significant impact on Councils in compliance matters associated with these changes, especially in regards to staffing and funding. Cost recovery in these matters have not been addressed in the discussion paper and is unlikely to be available. Recommendation: It is recommended the Department of Local Government clarify the role of Councils in compliance matters associated with the proposed changes. Cost recovery and staffing resources should be made available with any associated changes.? ? Council supports any changes to strengthen swimming pool safety legislation to increase the safety of very young children around backyard swimming pools. However, any changes need to ensure that Councils can provide the level of service required to perform the additional duties. A recent survey of other Councils with a similar number of pools has revealed they all have similar concerns and will be asking for similar changes. It is recommended Council respond to the discussion paper with the recommendation and concerns outlined above, and continue to lobby for improved changes in swimming pool safety legislation to ensure drownings of young children are prevented. 1.?? The information contained in the report on Release of Swimming Pools Act 1992 Review and Discussion Paper be received. 2.?? Council respond to the discussion paper with the recommendations outlined in this report, and continue to lobby for improved changes in swimming pool safety legislation to ensure drownings of young children are prevented. Billington Place Car Park, Emu Plains - Request for Provision of 2-Hour Parking Restrictions??? Authorised by:??????????? Adam Wilkinson, Engineering Services Manager ? The purpose of this report is to consider the provision of 2-hour (2P) parking restrictions in the public car park on Billington Place, Emu Plains.? The report recommends that Council support the dedication of 61 (2-hour) spaces and that Council write to Transport for NSW seeking their approval to dedicate these parking spaces in Billington Place Car Park for shoppers. The Local Traffic Committee, at its meeting on 5 December 2011, considered a report on Billington Place Car Park, Emu Plains - Request for Provision of 2-Hour Parking Restrictions.? The report considered a request from local businesses located adjacent to the car park, in the form of a petition signed by eight shopkeepers, for the provision of timed parking restrictions in the car park in Billington Place, Emu Plains.? Copies of the Local Traffic Committee report, petition and additional submissions are attached. The businesses requested that 2P parking restrictions be provided in the car park at the rear of the shops. Inspections by Council officers determined that the number of 2P spaces requested by the businesses (61 in total) could potentially be reduced in the immediate sense, based purely on observations of the current utilisation rates, but in the longer term may be required as ?competition? for parking in this area increases.? In this regard, the Local Traffic Committee considered and supported the proposal to provide the 61 spaces requested to cater for the long-term demand.? The total number of spaces in the rear car park is 145. The Local Traffic Committee made these recommendations with the knowledge that Emu Plains Railway Station is on the Schedule of Nominated Train Stations which restricts Council from exercising its function in respect of the Roads and Maritime Services delegations, without separate approval from the Roads and Maritime Services. ?1.??? The information contained in the report on Billington Place Car Park, Emu Plains - Request for Provision of 2-Hour Parking Restrictions be received. 2.?? Subject to separate approval from the Roads and Maritime Services, 2-Hour parking restrictions be implemented for a maximum of 61 existing spaces in the public car park in Billington Place, Emu Plains. The number of spaces signposted will be in accordance with the approval from the Roads and Maritime Services. 3.?? The business operator (lead petitioner)be advised of Council?s resolution and be requested to advise all other petitioners.? ?That a further report be brought to a future Council Meeting on this item including an audit of current and future parking needs in the area including shops at the Great Western Highway. Further, at the Ordinary Meeting of 6 February 2012, Councillor Fowler OAM requested that a report (in relation to this Billington Place matter) be prepared for the Policy Review Committee Meeting on 13 February 2012. Through these discussions, information was sought regarding land dedication and contributions towards facilities.? In relation to this, Council?s records indicate that Council acquired the land approximately 40 years ago with the intention of it being a car park.? The land is currently classified as operational land.? Despite a preliminary search, we are not able to confirm how that transfer was enacted at this time. Further, information was sought in relation to contributions from surrounding land owners/developers towards the dedication and/or embellishment of this car park.? A search of Council?s records revealed that, in the past five years, contributions were paid by one developer towards the eight space extension (on the north-eastern corner) that was implemented in 2010/11. In terms of the overall parking numbers in the precinct surrounding the Emu Plains station, it is important to note that an additional 265 commuter parking spaces were constructed in 2010/11 on the northern side of Emu Plains Railway Station. In December 2011, Council received a further request from eight businesses that signed the original petition requesting that Council consider the provision of 2-hour (2P) parking restrictions in the Billington Place Car Park to ?serve the needs of residents and keep businesses trading?.? The businesses in question are located in the developments directly adjacent to Billington Place. As a side issue, the businesses also raised concern about the Roads and Maritime Services? proposal to provide morning peak ?No Stopping 6.00am to 10.00am? restrictions on the Great Western Highway in front of the shopping strip. This signage has now been installed by the Roads and Maritime Services for the purpose of improving traffic efficiency on the Great Western Highway. A review of parking demand in the public car park (Billington Place) was undertaken, which determined that during several site inspections, there were scattered vacant spaces available within the car park available for shoppers and commuters.? It was clear, however, that there has been a trend for more commuters to park on the southern side of the station and leave fewer parking spaces available for customers of the local shops.? This trend was generally confirmed following a review of aerial photos dating back before the new commuter parking was constructed on the northern side of the station.? In fact, the construction of the commuter parking seems to have caused some temporary relocation of commuters, at the time, to the southern side.? The advice from business owners is that some commuters appear to have now elected to continue to park on the southern side. If the growth in commuter parking continues as expected, ultimately there would be little available general public parking in the Billington Place car park.? This is by virtue of the fact that the commuters usually arrive before business hours and have the first choice of available parking.? Therefore, in some respects, there needs to be some early intervention to secure a reasonable number of time limited spaces now to ensure that parking for customers of the local businesses is protected for the future. To consider the need for timed parking in Billington Place Car Park, which would ultimately reserve spaces for the local shopping strip, a review was conducted of some of the existing developments to determine the associated parking requirements.? Unfortunately, the building application files for Paul?s Warehouse (as an example) and other retail outlets were unable to be located in time for this report.? That said, preliminary calculations indicate that a development of the scale and nature of Paul?s Warehouse (again as an example) would likely generate a parking demand (both short and long stay) of approximately 40 spaces.? When considering other developments within this precinct, the requested number of spaces is considered reasonable.? Site inspections revealed that there is a small number of off-street car parking that is provided by the businesses, however it is clear from observations that this car parking is in high demand and shoppers are required to use the existing public car park in Billington Place. ?The Roads and Maritime Services (RMS) acknowledge that this location is within the vicinity of Emu Plains Railway Station, which is on the schedule of Nominated Train Stations. This Schedule prohibits Council from exercising its function in respect of the RMS delegations without prior approval from the RMS. Unfortunately, approval cannot be granted at this time due to Transport for NSW current review of car parking requirements around Railway Stations. The RMS advises Council to liaise with Transport for NSW to seek engagement in the review process. Please refer your enquiries to the: Principal Manager, Program Development & Delivery (Public Transport Interchange Program) Planning and Programs, Transport for NSW PO Box K659 Haymarket NSW 1240.? While this refusal of our request for time limited parking is based on timing of a current review of parking around railway stations by Transport for NSW, it is of concern in terms of the precedent it sets.? A parking area such as Billington Place is owned by Council and has been developed over time to meet the parking needs of residents and businesses in the surrounding precinct.? 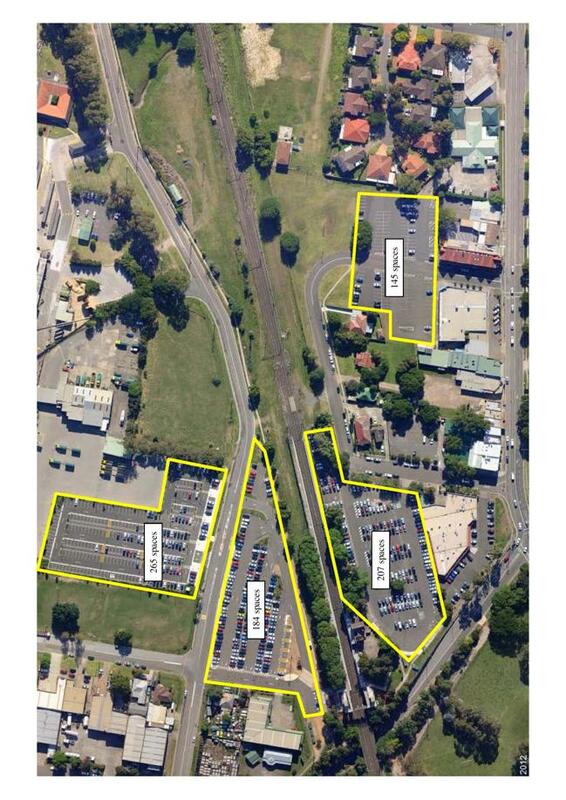 It was never intended to supply parking for rail commuters, which is primarily the responsibility of the NSW Government.? This restriction on the delegation to the Local Traffic Committee could mean that Council effectively loses control over the management of all its parking areas within a 1km radius of a scheduled railway station, which includes Penrith, St Marys and Werrington.? A significant portion of the Penrith CBD, for example, would fall within this 1km zone. Attempts to clarify the reasons for refusal of our request for time limited parking and further details of the review of commuter parking by Transport for NSW were still being made at the time of writing this report.? Until this recent advice, Council was not aware that the aforementioned review was under way. Notwithstanding the current Transport for NSW review, it is not unreasonable to expect that Council could make determinations in respect to the management of its own car parks.? The proposed allocation of 61 (2P) spaces within this 145 space car park is considered appropriate.? Further, when you consider the context of commuter parking more broadly around Emu Plains Station, there exists 449 commuter parking spaces on the northern side and 207 commuter spaces immediately on the southern side of Emu Plains Railway Station. It may be appropriate for this restriction on Council?s ability to manage the Billington Place car park, and parking around stations more broadly, to be clarified with the NSW Transport Minister, as a matter of urgency. In response to community concerns, Council Officers wrote to the Roads and Maritime Services seeking approval to establish 61 (2P) parking spaces in Billington Place, Emu Plains.? The Roads and Maritime Services will not grant the necessary approval at this time and requires that the provision of timed parking in Billington Place Car Park (near Emu Plains Railway Station) be considered in a wider review by Transport for NSW of car parking requirements around railway stations. As established through the recent adoption of the Penrith City Centre Car Parking Strategy, the principle of establishing a balanced approach to parking is critical.? The appropriate management of parking for commuters, workers and shoppers requires a fine balanced approach and often poses a challenge for the community.? In this instance the allocation of time restricted spaces, in close proximity to the shops, reflects that ideal parking principle and the allocation of 61 (2P) parking spaces is considered an appropriate balance at this time; responding to and balancing the needs of the community. 1.??? The information contained in the report on Billington Place Car Park, Emu Plains - Request for Provision of 2-Hour Parking Restrictions be received. 2.??? 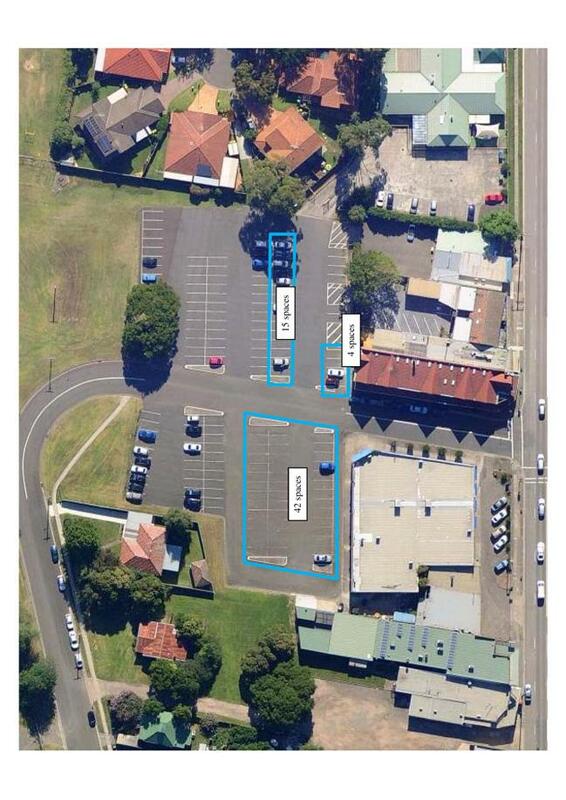 Council prepare a detailed submission to Transport for NSW seeking their urgent review and reconsideration of our request for the allocation of 61 (2P) parking spaces in Billington Place, Emu Plains. 3.???? Council further write to Transport for NSW to seek engagement in the review process of parking requirements around Railway Stations including Emu Plains Railway Station. 4.???? The shop owners and shop keepers who signed the petition be advised of the response from the Roads and Maritime Services and Council?s resolution.